Reading One by Henry Hon in recent weeks has been a delightful experience for me. Through the book, I have been receiving nourishment and a reinforcement of things the Lord has spoken to me. I read, from the book in chapter 4, that the believer’s experience of Christ should be progressive; starting from experiencing Him as the Passover Lamb; then as our daily manna; and finally arriving at God’s chosen destination - the good land. This land is so rich and vast that whatever the believer sees and wherever they walk, 24/7, they cannot exhaust the riches of it. And the awesome reality is that Christ Himself is the Good Land. I have been held by that word ever since and it has simply kept growing within me: Christ, the Good Land; Christ, the Land that flows with milk and honey; Christ, the Land that brings forth fruit of itself! 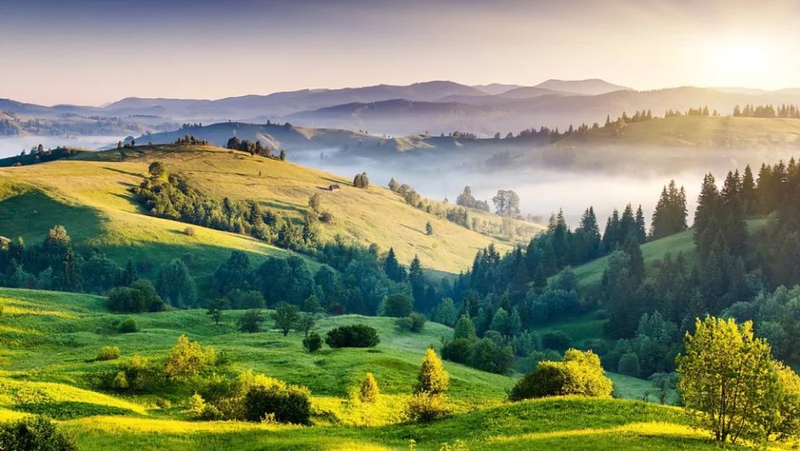 The Lord opened my eyes to see that the key for believers to possess and enjoy such a rich and vast land is to lift their eyes to see Christ as the reality in everything. This means my participation in and with Him should become as subconscious as breathing! So, the Passover is a substantial meal that is enjoyed annually. This seems to me more like some special occasions in the year when we really enjoy some awesome time of fellowship with the Lord. It could be personal retreats or some conferences with other believers. I see the Daily manna as the less substantial but indispensable 3 square meals that take us through each day. Living in the Good Land is subliminal; this happens by the second, without break - even when we are not conscious of it. This is the Life! Abraham was to look up and behold the Land. And not only that, he was to walk the length and breadth of it - for everywhere the soles of his feet stepped on became his to possess. This is a call for me to journey: to walk the length and breadth of Christ the Good Land; to breathe in the air; to soak in the fragrances; to gaze on the rhythmic cycles of Life within He who is the Life. This is the antidote to passivity, to the dull routines of religion. Christ the Good Land is the encapsulation of “in season and out of season” for one is always within the Land. The varieties of diets that can sustain the youngest spiritual babe to the mature believers can be found in Christ the Good Land—milk, bread, wine, oil, meat, and strong meat.